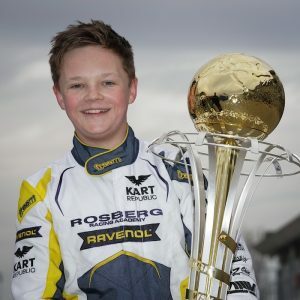 The 2019 international karting season has begun as it ended with the Rosberg Racing Academy and its driver Taylor Barnard: a victory! At Adria in Italy, the young Briton celebrated his move to the next level with his first success in OK at the WSK Champions Cup. In addition, convincing performances from the other two drivers of the Rosberg Racing Academy, the Italian Andrea Kimi Antonelli and the Chinese driver Cenyu Han, reinforced the decisions made during the winter and the quality of the partners who support the operation created by Nico Rosberg. 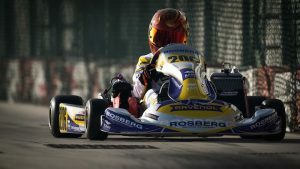 Crowned World Karting Champion in 2018 with Lorenzo Travisanutto in its first year of existence, the Rosberg Racing Academy has no intention of resting on its newly-won laurels. It did not fail to use the off-season to refine its strategy, select new drivers and sign new partnerships to ensure its continued development, as with Ravenol lubricants. 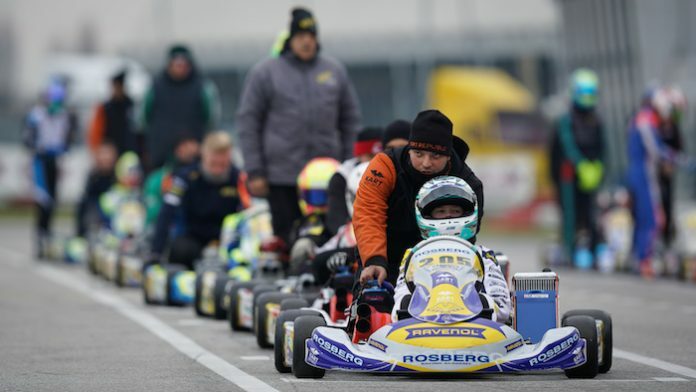 For his first competition with the Rosberg Racing Academy, the former Junior Cenyu Han had a lot to learn for his debut in OK. In this environment conducive to training and progress, the young Chinese driver recovered at the end of the meeting to 13th position, although he was only 20th in Qualifying. In OK-Junior, Andrea Kimi Antonelli constantly fought at the front: 2nd in Qualifying, 2nd after three successes in the heats and new achievement in the Prefinal with the victory and the fastest lap in the race. “In the Final, Andrea was still among the fastest, but he lacked experience and had to be satisfied with 4th place. 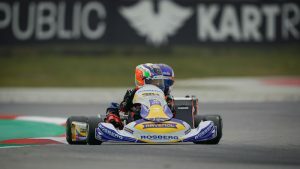 It should be remembered that he was still in Mini in 2018 and that he joined the Academy in OK-Junior only last October,” said Dino Chiesa of Kart Republic. TKART è al tempo stesso un sito web e un magazine innovativo. TKART Magazine è digitale e interattivo: 15 canali aggiornati costantemente. Tutorial tecnici, test in pista, analisi di prodotti e molto altro. TKART Magazine è il solo magazine con articoli che puoi leggere, ascoltare, guardare, commentare e condividere. Disponibile in italiano, inglese e spagnolo.